Fisher-Price Shimmer and Shine Wish & Spin Shine Just $14.92! Down From $40! You are here: Home / Great Deals / Amazon Deals / Fisher-Price Shimmer and Shine Wish & Spin Shine Just $14.92! Down From $40! Amazon has this Fisher-Price Shimmer and Shine Wish & Spin Shine for just $14.92 (Reg. $40)! Shimmer and Shine is an animated preschool series featuring the magical adventures of twin genies Shimmer and Shine and their best friend Leah. 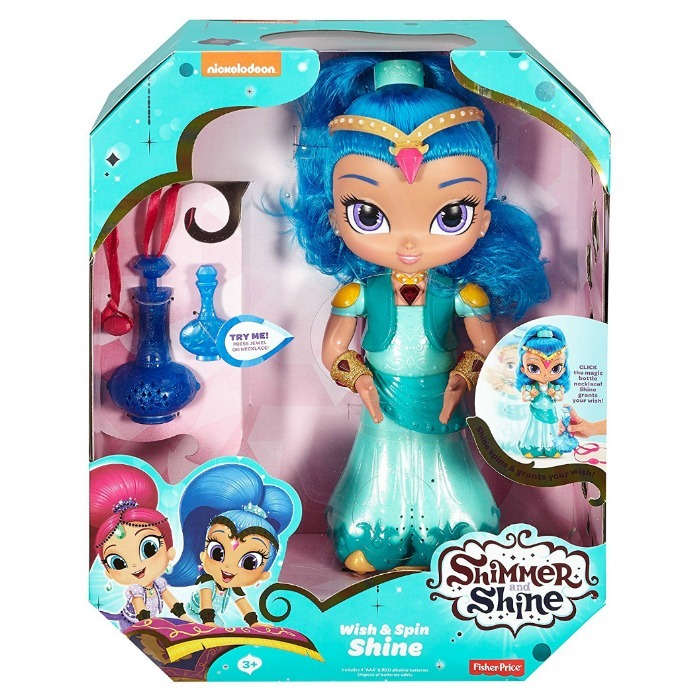 When Leah calls upon her secret genies with a special chant and rub of her genie bottle necklace, Shimmer and Shine travel on their magic carpet out of their genie world and into Leah’s human one. They’re always happy to help Leah solve a problem by granting wishes but when the wishes don’t work out as planned, the trio must work together to clean up their magical messes and find a way to make their mistakes turn out great!